Thank you for your comment Fab. As you said this is the first step to integrate TagMyCode into NetBeans. Next features will be the listing/search and the ability to reuse snippets in code editor. 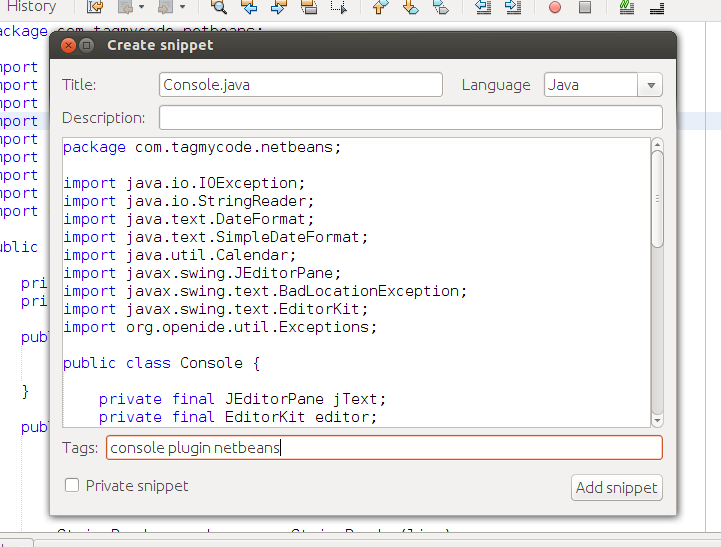 I discovered this website because of the netbeans plugin. I’m very impressed so far, and looking forward to the future features you mentioned. I totally agree with Fab.